The BOOK, Bound Feet Blues – A Life Told in Shoes is out now, published by Urbane Publications. This book tells the stories behind the story dramatized in the theatre show in the form of an unconventional memoir. It interweaves personal stories, cultural reflections and a multi-faceted exploration of what it means to be a woman. The book includes the performance version of the script, as developed in rehearsal with director Jessica Higgs. 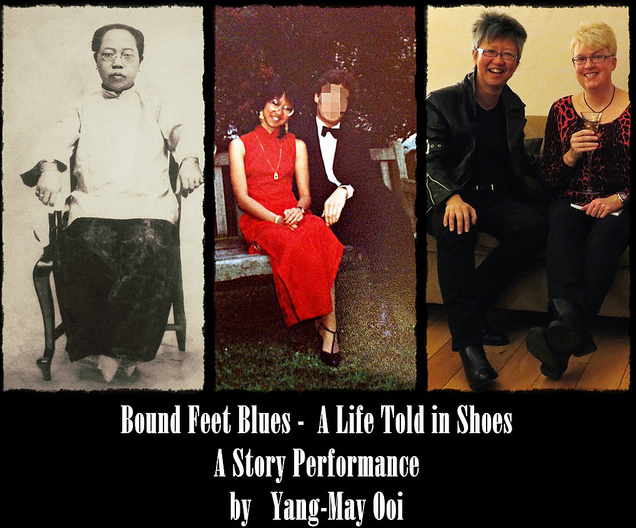 Bound Feet Blues, the Book deepens and enriches the experience of the show by expanding on its stories, ideas and history. By weaving in other family and cultural stories, the book creates a layered tapestry of additional meaning and exploration that can be read either as a stand-alone work or as a textured accompaniment to the stage version. 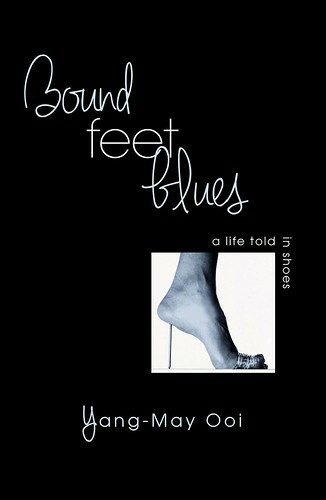 Find out more about the book – and show – via the Bound Feet Blues Blog.